Practice is Everything – The athletes had practiced 8+ hours per day for many years in order to prepare for their event. How much time do you dedicate to practice for important meetings, presentations, speeches related to your career? Do you practice the skills that are necessary for professional success such as writing, public speaking and networking? Individual Responsibility – Most of the athletes acknowledged the invaluable contribution and support of their coaches and teammates. None of the athletes blamed anyone else for their own poor performance. Do you take responsibility for your own career or do you blame your boss, colleagues or the organization when things don’t go your way? Focus and Excellence – Many of the athletes described a level of intense focus and standard of personal excellence that is often overlooked in today’s organizations. Do you focus on your work like an athlete focuses on their game, event, competition? What if you did? What is the standard you set for yourself when it comes to you career? Do you strive for excellence in your career? These lessons from the Olympics are at the core of Career-ology. Go Team USA! See you in Buenos Aires in 2016. Reid Hoffman is the co-founder and executive chairman of LinkedIn and knows a thing or two about the power of networking. 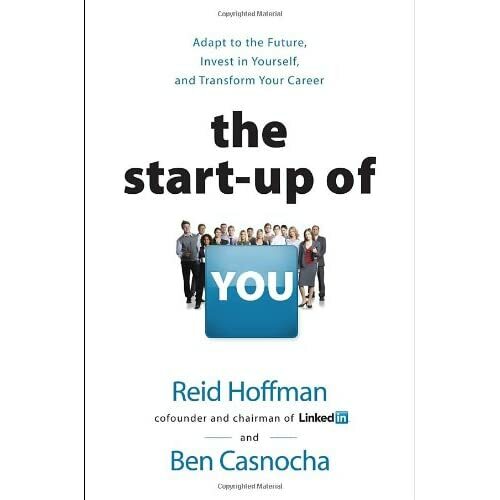 The Start-up of You is not a technical “how to” book about the world’s most popular professional networking site, but instead a philosophical discussion about approaching your career with the mindset of entrepreneur. Hoffman along with his co-author, Ben Casnocha suggest that you consider your career in permanent beta– as a professional, you are never complete, but instead always aiming to grow, expand and improve. Business Schools Put More Emphasis on Writing. . . Should You? http://career-ology.com/wordpress/wp-content/uploads/2015/01/Career-ology-logo.png 0 0 Jeff Chapski http://career-ology.com/wordpress/wp-content/uploads/2015/01/Career-ology-logo.png Jeff Chapski2012-07-02 08:33:402012-07-02 08:33:40Business Schools Put More Emphasis on Writing. . . Should You? By now, the news regarding Yahoo (YHOO, Fortune 500) CEO’s, Scott Thompson, “resume malfunction” is old news, but the lesson is omnipresent. Padding a resume is wrong and it is just not worth it. . . ever. What struck me the most about Thompson’s response in this CNNMoney’s article was that he was sorry for the effects of his lie, but not the lie itself. Everyone involved will take a hit here including Thompson, Yahoo employees and it shareholders and the Board of Directors. What will be the long-term leadership implications for Yahoo? Only time will tell. Read Kara Swisher’s All Things D post about Patti Hart, the Yahoo director in charge of the search that resulted in the hiring of Scott Thompson as its CEO. http://career-ology.com/wordpress/wp-content/uploads/2015/01/Career-ology-logo.png 0 0 Jeff Chapski http://career-ology.com/wordpress/wp-content/uploads/2015/01/Career-ology-logo.png Jeff Chapski2012-05-11 07:34:372012-05-11 07:34:37Yahoo CEO "Resume Malfunction"
Why I Emptied my Email Inbox? The number of emails sent per day continues to increase, despite growing use of social networking and instant messaging. In 2010 users were receiving an average of 72 emails per day, and sending an average of 33 emails per day. http://career-ology.com/wordpress/wp-content/uploads/2015/01/Career-ology-logo.png 0 0 Jeff Chapski http://career-ology.com/wordpress/wp-content/uploads/2015/01/Career-ology-logo.png Jeff Chapski2012-01-19 08:07:542012-01-19 08:07:54Why I Emptied my Email Inbox? A recent Economist.com article, espouses the virtues of golf as it relates to conducting business. 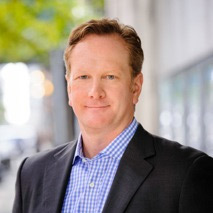 In his recent HBR blog post, Anthony Tjan, CEO, Managing Partner and Founder of the venture capital firm Cue Ball and vice chairman of the advisory firm Parthenon, discusses the downside of using email for “digital conflict resolution” and highlights three of the problems that often result from pressing <SEND>. 1. It is hard to get the EQ (emotional intelligence) right in email. 2. Email and text often promote reactive responses. Today, Career-ology published two free resource available. The first tool, Overview-LinkedIn, provides an overview of the key features and functions of LinkedIn, tips on getting started and a list of additional resources for training. LinkedIn is most popular professional social media site with more than 100 million members. Are you on LinkedIn? If not, you should be. The second tool, Interview & Meeting Prep, can be used to prepare for an interview, a business meeting or networking situation with colleagues, customers or clients using popular social media tools and websites. The information you collect will help you to establish a meaningful connection with the people you meet. By learning more about the person with whom you are meeting, you can increase the likelihood of finding points of common interest. To download these free tools (.pdf) from Career-ology, click on the Resources page.